It's starting to get really hot here, and I've been busy starting to come up with healthy and refreshing ways to stay cool in the summer heat as it rears it's ugly head. Never mind that I'm dying here already and we have another 10+ degrees to go until we're really in the prime of Texas summer. Ugh. By the time these were set and ready, I had a few hot and eager hands that were just waiting to get a hold of them. Now, of course there was some feed back... The ladies that tried these agreed that there needed to be some more sweetness added, but the man chomping down on one quickly piped up and said that the fruit made them sweet enough. So, you'll want to go by your own taste when adding the agave. If you find a need to add it at all, that is! Another option, if you're looking for something a little more sweet, would be to use one of the flavored coconut waters. But, to each his own. Now, I've never had coconut water before, so I wasn't too sure what to expect. I was rather surprised and delighted to find that the coconut flavor was minimal and barely detectable at all really. I'm not a fan of coconut flavoring generally. 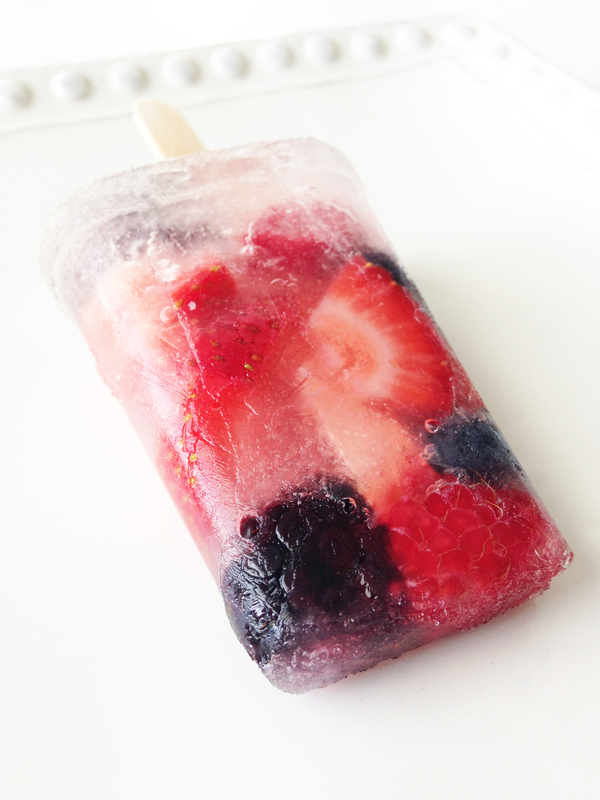 I also used fresh berries in my popsicles (mostly because it's what I had and well... they're red, white, and blue! ), but really you could use any fruit that you have on hand. Mine held about 1/4 c. in each section for a total of about 1 cup in all. 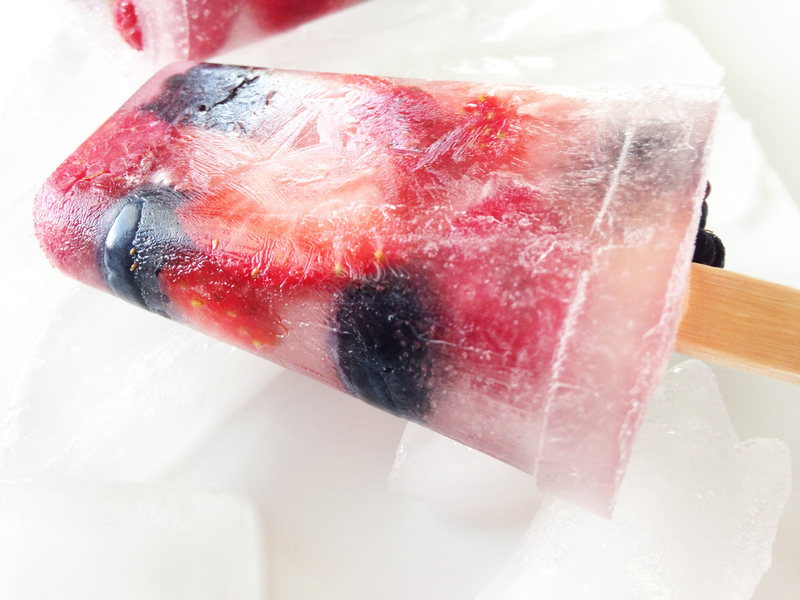 Pour the coconut water over the berries and drizzle each section with agave. You could also mix or shake the agave and coconut water up together instead. And again, my mold held about 1/4 c. of the coconut water in each section. Insert your popsicle sticks accordingly. I used plain-jane wooden sticks that were perfectly held in place being pressed down into pierce a few of the berries.